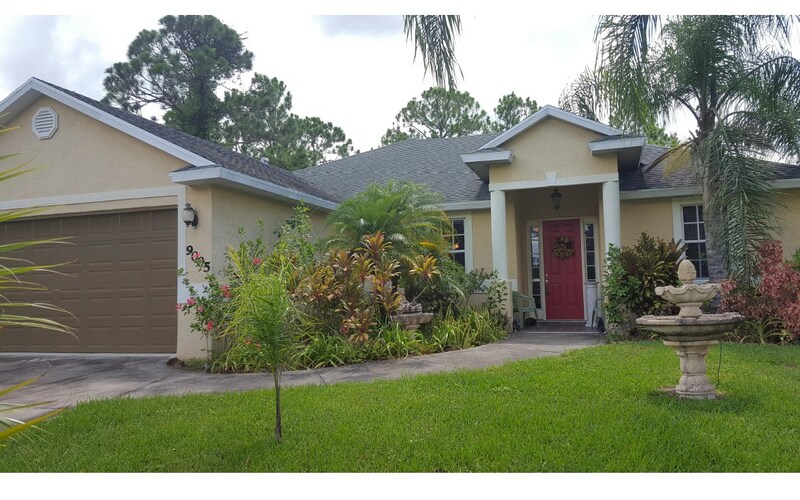 9005 Placid Lakes Blvd, Lake Placid, FL 33852 MLS# 248457 - Lake and Land Realty of Highlands, Inc.
Gorgeous Three Bedroom Two Bath Two Car Garage in Placid Lakes. Extra deep lot going back to next road but separated with a privacy hedge. From the front porch of this beauty you can see Lake Diane! Large, gourmet kitchen with breakfast nook overlooking the very private yard. Nice, formal dining room and very large living room with volume ceilinngs. Master Suite is beautifully appointed with Trey ceilingsThe back yard is lush and loaded wtih fruit trees and exotics. .